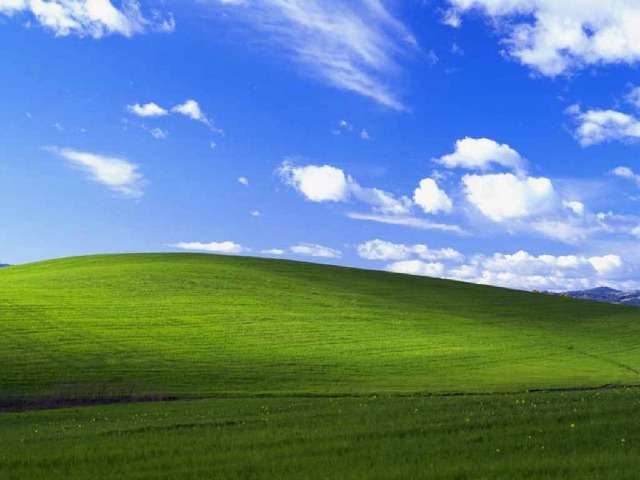 Is This the Most-Viewed Photo of All Time? It may not be as well known as the Mona Lisa, but Charles O’Rear’s photo, Bliss, may have been viewed as many times, if not more. Long acknowledged for its exposure across the globe, the photo drew attention once again on Monday when a photo blog claimed the audience for the photo at 1 billion. The entry got wide circulation on Google+. Can you think of a photo that might have been seen more times? The iPhone 5 as a Spider? Designer Federico Ciccarese re-imagined the iPhone as a futuristic (and creepy) gadget that lives on the back of your hand. What do you think of the design concept? What will mobile communication of the future look like? Google thinks it could be a pair of glasses; IBM favors mind-reading gadgets. Designer Federico Ciccarese, however, envisions the same cellphones we’ve been using, just re-imagined. Instead of a touchscreen slab that’s held in the palm, the “iPhone 5 new” features a curved design that’s actually worn on the back of your hand. It’s held in place by five slim and somwhat creepy “legs” which wrap between your fingers and around the wrist. The main “phone” part of the design looks like the familiar iPhone app array, though the curved casing appears to be flexible — perhaps Ciccarese is channeling Sony’s color e-paper here. The renderings look amazing, and we love the sci-fi look of the thing, but the creepiness and probable discomfort created by the legs make it a non-starter. And even if he axed the legs in favor of some kind of adhesive (à la the communicators on Bablyon 5), if we learned anything from the belt clips of early 2000s it’s that cellphones do not make good accessories. We could be wrong, of course. What do you think of the Spider iPhone? And what would you like the real iPhone 5 to look like? Have your say in the comments. Chrome for iOS is here. Available for the IPhone and iPad, how does it compare to the third-party browser competition? You can sign-in to Chrome for iOS with your Google user name and password. This allows users to sync bookmarks, view open tabs from other devices, access passwords and automatically login to Google services. The first time you launch Chrome for iOS, the app offers a user tour. The search and location bar are on in Chrome for iOS, just like with Chrome on the desktop. Tab switching works by dragging at the edges. It is card-like, similar to webOS and Android 4.0 Ice Cream Sandwich. The number of open tabs is displayed at the top, next to the Omnibox. Landscape browsing offers minimal cruft. Tabs can be browsed like cards and quickly removed with a swipe to the left. The menu button brings up options, including quick access to favorites, email, "Find on Page" and the ability to view tabs on other devices. You can select open tabs for any of the computers currently logged into Chrome on the desktop or for mobile with open tab syncing turned on. Tapping on a tab will open the window in Chrome for iOS. After closing all tabs, this subtle background greets users. On the iPad, Chrome looks much more similar to its interface on a Mac or PC. Chrome's famous "tabs on top" motif carries over to Chrome on the iPad. The context menu in Chrome for iPad has more room to breath and expand, thanks to the larger screen. It's easy to browse open tabs from other synced devices. Here, you can see I am browsing open tabs on my MacBook Air and my iPhone 4S. Chrome offers a custom keyboard for search and address entry with the Omnibox. This is how Chrome looks on an iPad while in portrait orientation. This is how Safari looks on the iPad. Please note, this iPad is running iOS 6. As promised, Google’s Chrome web browser is now available for iOS. We’ve spent some time playing with the app — which you can download from the App Store now [iTunes link] — and trying it out alongside Mobile Safari, iCab Mobile, Opera Mini and others. Because Apple restricts the way third-party web browsers can work with iOS, Chrome isn’t substantially different from any other mobile web browser. In fact, it’s basically just the UIWebView (geek speak for the basic Mobile Safari rendering engine) with a customized skin. In practical terms, this means that web pages aren’t going to load any better in Chrome for iOS than they would in any other third-party browser. Moreover, Mobile Safari will always have the home-field advantage. Second, because Apple won’t allow users to designate default apps, users will have to manually invoke Chrome for iOS each time they want to use it. This works fine for most tasks — just move the Chrome iOS icon to your home screen or dock. It does mean, however, that tapping links in email, messages or other apps will still open in Safari. You might be asking yourself — why bother with Chrome for iOS at all? If you’re a heavy user of Chrome on the desktop (or on an Android device), it’s all about cross-platform simplicity. When a user logs into Chrome for iOS, he or she instantly gets access to bookmarks, passwords, search histories and open tabs on other devices. Even better — you can choose what aspects you want to sync with other Chrome devices. For instance, I might not want to sync bookmarks or open tabs on my mobile device with my desktop — I can choose exactly what to sync in the settings section of the app. While bookmark sync solutions are not new — XMarks, Firefox and Apple’s own iCloud all offer bookmark syncing from the browser to iOS — it’s the open tab aspect that makes the Google integration worth it. I rarely use the feature on the desktop, usually because I am only logged into one machine at a time. But having the ability to pull up an open tab from my browser on my phone (or vice versa) can save tons of time. On both the iPhone and iPad, Google has given its own distinctive design to Chrome for iOS. The browser looks and behaves very much like Chrome for Android and little flourishes like the ability to swipe away tabs or search and enter an address in the same bar are nice touches. Although Chrome for the iPhone looks and works well, it’s on the iPad that the browser really shines. Unlike Mobile Safari, users can open more than 8 tabs at once (though don’t expect to switch between them quickly) and the tabs on top motif works really well on the 9.7″ screen. All in all, Chrome for iOS is a solid alternative iPhone browser. The Chrome sync is what sets it apart from the competition, but for Chrome devotees, that’s enough. We do wish there was more of a focus on social integration in the browser. iCab Mobile [iTunes link] — my favorite third party browser — really excels here with support for a slew of add-ons, including Readability, Instapaper, Twitter, Facebook and more. We’d love for an easy way to post to Google+ from the browser, for instance. Given Chrome for iOS a spin? Let us know what you think of the app in the comments.